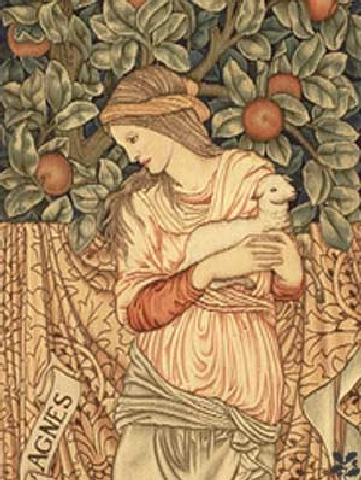 I found this beautiful image of St. Agnes last year and have had it saved for coloring page inspiration. I thought it very appropriate considering the oranges in the background and the double feast of Our Lady of Altagracia today. (Check out Jessica's beautiful celebration over at Catholic Cuisine.) 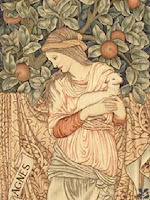 I have no information on the tapestry other than: St. Anne Tapestry 1887 Standen, UK. If you know more about it or where we can see it in its entirety, please let me know. Also, to placate the perfectionist in me... please let your children know that lambs have hooves and not paws, so they should ignore the slip of my pen that wasn't corrected before scanning! Just tell them that my head was too full of gunk to notice the problem. Also, by my count, there are 8 oranges in my drawing. The one behind St. Agnes's head was supposed to be part of her head wrapping, but it just kept looking like an orange to me. I blame the gunk. Updated to add: Michelle found some information on the tapestry. The link is in the combox! Thanks Michelle! thank you so much! St. Agnes is one of my daughters patron saints this year, and my coloring pages just have not turned out, and I was praying you would post a page. 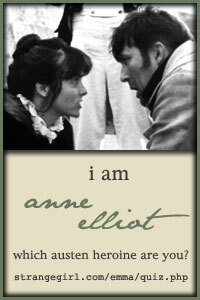 God is good, : ) Now off to play St. Agnes in the play my daughter wrote for today. It is the perfect ending to a great, yet super busy, day! Great cyber sleuthing, Michelle! Thanks!!! 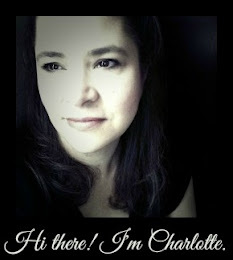 That is so beautiful Charlotte! I saw it first on Xhonane's Familia Catolica' blog. My first graders will love it! Thank you for your generous heart! This is so beautiful, and looks vaguely familiar. We are great William Morris fans, and have seen some of the tapestries at the Victoria & Albert Museum in London. The textiles room that gave Morris his inspiration is incredible!